Which Anesthesia Option Is Right for You? So you’re preparing for oral surgery in Houston — now how do you determine which option in anesthesia is right for you? The answer depends on your age, your level of health and anxiety on the day of your appointment, and, of course, the procedure being performed. 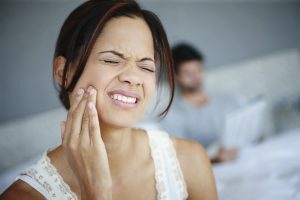 Take some time to read about your options in sedation dentistry and you will be more prepared to discuss your options with your oral surgeon in Houston. No matter what the procedure is you are undergoing, you will be eligible for a range of anesthetic options at Piney Point Oral & Maxillofacial Surgery. First, there’s local anesthesia, which numbs the treatment area. It’s injected into the gum to remove sensations in the tooth and its root. Local anesthesia may be combined with intravenous anesthesia or sedation, which helps you achieve a calm, relaxed state for your procedure. You may doze off throughout the treatment, but you are still conscious — just totally removed from the sights, smells, and sounds that are going on around you. General anesthesia is reserved for healthy patients undergoing long, complex procedures, or whose anxiety or physical limitations inhibit their ability to comfortably undergo dental work. General anesthesia is administered through a vein in the arm. No matter what sedation option you choose, you can feel confident knowing the Piney Point team is closely monitoring your vital signs throughout your time under anesthesia to ensure your complete safety. Once your procedure is complete, you will have plenty of time to come out of your sedative state in one of our comfortable patient recovery rooms. Which Sedation Option Is Right for You? You and your Piney Point oral surgeon will thoroughly discuss your sedation options to reach the decision that is best for you. Considerations include the level of anxiety or fear you experience related to your upcoming procedure, the length of the treatment being performed, and the potential for discomfort with your specific treatment. Prepare a list of questions for your oral surgeon to ensure you are fully informed regarding your anesthesia choice. Do you need to make any special preparations for your chosen sedation? How long does it take for the sedation to wear off? Are there any side effects associated with your sedation? What are the pros and cons of each sedative option when used with your procedure? Contact us to talk about your anesthesia options and your upcoming oral procedure at Piney Point Oral & Maxillofacial Surgery! by: Piney Point OMS at August 26, 2016 . Comments Off on Which Anesthesia Option Is Right for You?